This Lil' Twister Quilt designed by Kathy Schwartz of Tamarack Shack, The Pattern is available for free. 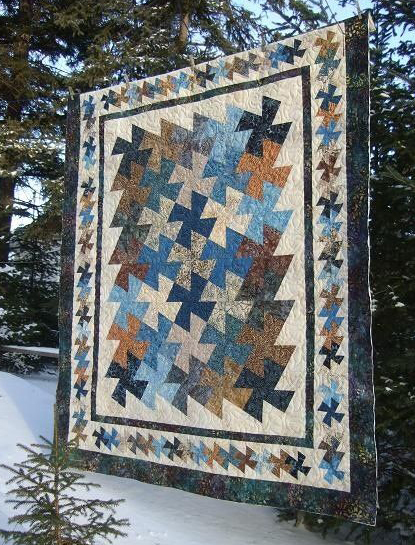 "This is Marg’s Twister quilt and it was made with a batik layer cake and charm squares. I demonstrated using the Lil’ Twister ruler which is the smaller one to make a table runner."